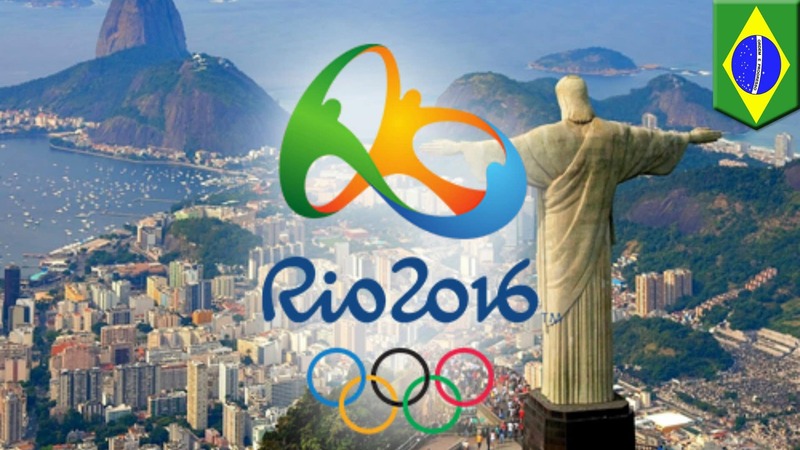 Brazil was battered by the international press for its lack of preparedness of the Olympics. After 15 days, the international press, without an official apology looked up to ‘Jesus the Redemer’ and acknowledged the miracles of the Olympics. The stadia may not have been packed like London Olympics, they made up for it in other ways. Even when the American swimmers blatantly lied they had been held back at gun point, the hospitality of the Brazilians came alive. The national that has surprised me is Great Britain (GB). No longer are athletes contented to participate this mega sporting exhibition. They arrived and participated in order to win. The paradigm shift in attitude is refreshing to observe. I saw GB athletes weep profusely for coming second in an event. I saw GB athletes embarrassed for placing third. The new mentality of GB athletes is to prepare to win, and the results are there for all to see. When it comes to organisation, the Brits are second to none. They may not have the natural talented athletes, however, they make up for it with their masterful organisational skills. I have picked up so much from watching Rio Olympics, and here a few of the nuggets I hope will inspire you. PREPARATION/SACRIFICE. The mentality of the Athletes is to prepare to win and not to compete, It is Gold or nothing, even if you are not Usain Bolt. Aim for the galaxy and no longer the sky. You just never know what the fruits of your preparation. Be prepared to sacrifice your time. Many went without social media. Many of the athletes were away from home for many months. A hard working athlete has more opportunities to win because of what they had sown. You can’t reap where you haven’t sown. You create your own luck. TEAMWORK. For the non-individual events, there was no selfishness. The Team GB badminton pair Marcus Ellis and Chris Langridge immediately comes to mind. After qualification to the Q-final, during an interview, they acknowledged they were not the most talented players, but admitted they are one of the most hard working pairs. Their hard work produced a Bronze medal against all odds. ORGANISATION. You will get out what you put in. Remember, there is nowhere to hide. If you fail to plan, you plan to fail. Ask Nigeria, the ‘Giant of Africa’. A nation possessed with an abundance of talent, but LACKS organisational acumen. Olympics for Nigeria is all about ‘taking part’ at short notice. It isn’t an opportunity to showcase its sporting talents. What a missed opportunity. GB has already kicked started its preparation for 2020 Olympics to be held in Tokyo. GRATITUDE. The greatest athletes on display, Usain Bolt, Michael Phelps and Mo Farah amongst others are grateful for their talents and did not take it for granted. They prepared hard, comported themselves with humility and did not showboat over the line when it mattered. They did not take anything for granted. They recognised they were competing with fellow athletes that had sacrificed for four years. They know they have the talent, but did not take it for granted. There was no arrogance and they were rewarded. STAY FOCUS TO THE LAST SECOND. Lutalo Muhammad is a British taekwondo athlete. In the Olympic final, he was leading his Ivorian opponent until a second to the final bell, the gold medal was snatched from his neck with the last kick of the contest. He was devasted. He wept like a baby. What happened? Did he take his eyes of his opponent? Was he already celebrating with less than a second on the stopwatch to go? What lessons can one learn from this cruel ending? I have no doubt that he would benefit immensely at the manner of the defeat. AGE DOES NOT MATTER. Meet American Olympian Anthony Ervin: The Oldest-Ever Individual Olympic Swimming Gold Medalist. While Michael Phelps may have dominated the Olympic headlines with his historic 23rd gold medal, another American male swimmer also made history in Rio. Thirty-five-year-old Anthony Ervin became the oldest-ever individual Olympic swimming gold medalist when he won two gold medals for the men’s 50-meter freestyle and the men’s four-by-100-meter freestyle relay. Yes, he is 35 years old. Alos, 58-year-old, Nick Skelton won Great Britain’s first individual showjumping gold medal in Olympic history following a stunning performance in Deodoro. He becomes GB’s oldest Olympian since 1908. Age has nothing to do with your goal of becoming a success. Go for it. Age is an excuse. WINNING ATTITUDE. This is all that matters to the Olympian athlete. Olympians participate to win. They prepare for four years and visualise the podium with the national anthem playing. The athletes compete to win, They have a winning attitude. Usain Bolt, Mo Farah, Michael Phelps are never tired of winning. They are not afraid to put in the hard work. The seven nuggets above, when applied to any endeavour will guarantee success in the long term. I have taken note, I hope you do too.